Close to city. 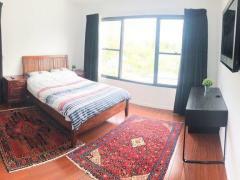 Perfect location under 5 minutes walk to bus or train and train ride 12 minutes to city center. 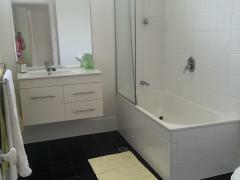 1 light and bright bedroom available in 2 bedroom unit. 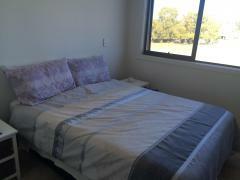 Large wardrobe, ceiling fan, brand new sheets and towels and room opens onto a deck. This unit has great security. Trendy furniture throughout. Unlimited internet, Netflix and calls to Australian mobiles and home phones. About me - I have had many students stay with me in the past and love the experience. I am a great cook and can cook foods from all around the world so if you want to eat food from your country that is not a problem. I am very easy going and always happy. 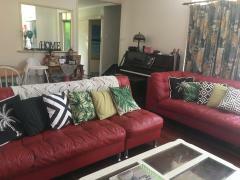 Price of $275 a week includes breakfast, lunch, dinner and coffee and tea whenever you would like but can do cheaper if not all meals are required.